Rare 1940s Mole Richardson Midget. One of few produced for Berkey Colortran. 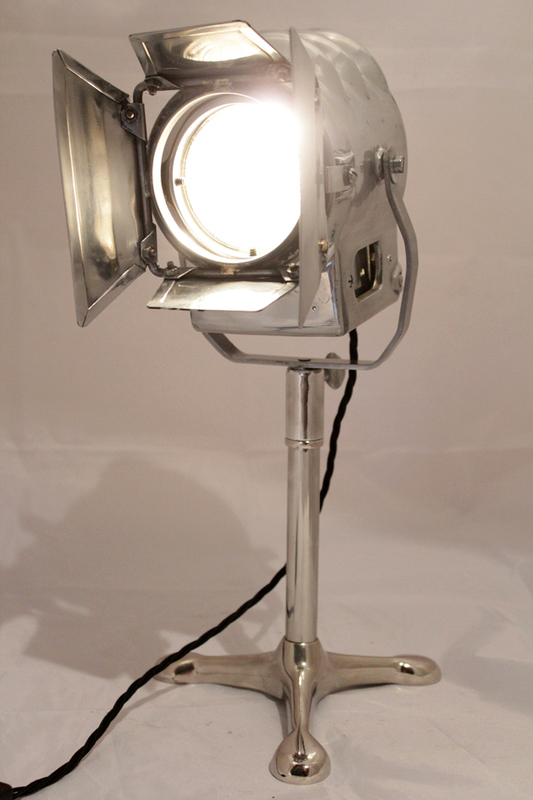 Fully restored, rewired for domsetic use and supplied with original Barndoors and stand. Original Fresnal glass lens is in perfect condition. It will also be supplied with a New stand should you need the height. Long 3 core black braided cable with on/off in line switch. 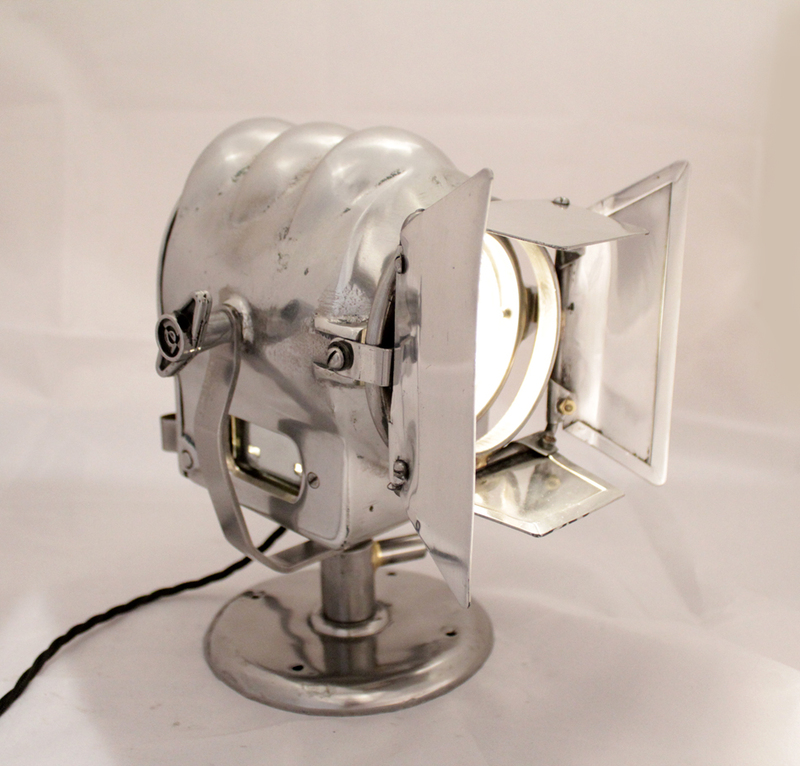 Lamp Dims: 16 x 15 x 15cms ex barndoors and base.